Buy 40 or more for $9.49 each. Emily Harrison, a passionate anti-slavery advocate, has to give up her passion as a conductor in the Underground Railroad since her parents home went into foreclosure after they died. She now found a position as a governess in slave-holding Virginia. To further add to her distress, attractive, spoiled, yet elusive Gray Wraith lives right under the same roof with his uncle. Fortunately, she's managed to avoid him since he seems preoccupied. But Gray is not who he appears to be; he is on Emily's side as a Quaker leader of the Rebel Partisans. Will they ever trust each other enough to confide their true purpose in life and love? Emily Harrisons life has been turned upside down. At the beginning of the Civil War, she bravely attempted to continue her parents work as conductors in the Underground Railroad until their Ohio farm was sold in foreclosure. Now alone, she accepts a position as a governess with a doctors family in slave-holding Virginia. Perhaps she can continue her rescue efforts from there. Alexander Hunt is the doctors handsome nephew. While he does not deny a growing attraction to his uncles newest employee, he cannot take time to pursue Emily. Alex is not at all what he seemsrich, spoiled, and indolent. He is the elusive Gray Wraith, a Quaker leader of Rebel partisans. A man of the shadows, he carries no firearm and wholeheartedly believes in Emilys antislavery convictions. Mary Ellis is the bestselling author of many books, including A Widow's Hope, An Amish Family Reunion, and Living in Harmony. She and her husband live in central Ohio, where they try to live a simpler style of life. 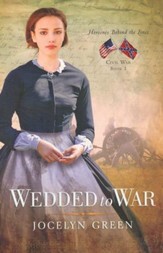 "I love Civil War-era romances, and I'm certainly a fan of this one. I'm hoping this is the first of many from Mary Ellis set in this time period!" 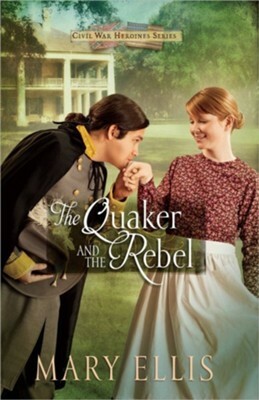 "The story moves quickly and kept me turning the pages...If you're compiling your 2014 reading list, for a quick and entertaining read, consider adding Mary Ellis's The Quaker and the Rebel." "Mary Ellis has woven an intriguing historical story of honor, trust, and love. Readers will care about the characters and feel compelled to continue reading until all the issues are resolved. I highly recommend The Quaker and the Rebel to fans of historical fiction, inspirational fiction, and romance. If you are not a fan of one of these genres, you may just become one!" "I am very impressed at how well the author handled both discussions and individual characters' thoughts because they seemed neither stilted nor unfitting for each character's education and station in society." "The Quaker and the Rebel is one of the best Civil War novels I've ever read. One thing I loved about this novel that I haven't seen in other novels about a Yankee and a Confederate falling in love is that neither sacrifices their principles and the issue of slavery is not watered down to make it palatable. That's what makes this novel so good, and it's what makes the obstacles between Alex and Emily seem so insurmountable. 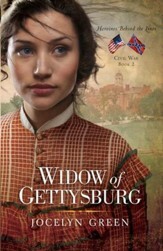 If you love Civil War fiction, I highly recommend this novel." "Don't pick up The Quaker and The Rebel expecting just a romance. Because you'll get a whole lot more." "Mary is an excellent writer and I loved the twists and turns the book took along the way. The insights she gives into the daily lives of both the Quaker and the Southern lifestyles is enlightening. 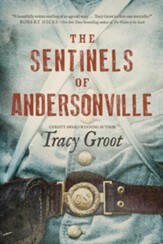 I highly recommend this book to anyone who has an interest in the Civil War." "I very much enjoyed The Quaker and the Rebel. Keep up the good work, Mary." I'm the author/artist and I want to review The Quaker and the Rebel, Civil War Heroines Series #1.